For people seeking to use the Myers Briggs personality type model for job, career, relationship, self-improvement and other human development applications, I consistently recommend taking the MBTI inventory from a professional practitioner certified to administer the MBTI instrument. An excellent source for an online MBTI paired with a professional interpretation is through the Center for Applications of Psychological Type. However many people coming to these pages are not ready to engage the services of human development professional or their interests are more casual or in conjunction with a course on introductory psychology. For these folks, this website offers a useful introduction to Myers-Briggs ® model of Personality Type. There are also a number of articles (see our master index of Personality Type articles) for people wishing to explore this subject at greater depth or for those who want to use this model for improved self-knowledge and relationships with others. After you’ve taken our Cognitive Style Inventory to discover your MBTI, we’ve organized a guide to verify the accuracy of your test results and give you a more in-depth understanding of your personality make-up. On some devices, the links I’ve provided open up in a new window to make it easier for you to return to this page after each step is completed. This guide can also be used to help verify and better understand the results from taking the official MBTI assessment or another instrument that purports to identify your four letter personality type. This inventory will give you an initial determination on the four key mental attributes that are part of the Myers’ model of Personality Type. Underscore the word “initial” because for a variety of reasons this determination might be inaccurate. Look at this as a beginning point in better understanding how you are wired and that as you learn more you may find yourself revising what you earlier understood. First read the general description that matches the four letter code that resulted from your taking the Cognitive Style Inventory. Don’t expect everything that is said here to fit you. Also read some of the other descriptions, particularly those whose four letter code are close to the one you’ve initially chosen via our inventory. It may be helpful to print out a set of descriptions and take a highlighter to mark the phrases you think fit you. While the MBTI model identifies four key preferences that are part of a person’s mental make-up, in the developed mind there is one mental attribute that is dominant, the centerpiece of how your particular mind works. In a general sense we can say there are four kinds of mind centers: Feeling, Thinking, Sensing, and Intuition. I hope reading these descriptions will help you identify which seems to be at the center of your being. Remember that all minds have all four of these components so expect to relate to more than just one of the descriptions. It is important, however, to discover which is your center. You’ll see that I’ve indicated the personality types that are associated with each description. It is also important to get a feel for, an understanding of, how all four of these general types of mind work. Having this understanding is key to relating to others whose minds are different than yours plus it is important to better understanding the patterns of your own mind. Ok, now where are we? Confirmed what you have up to this point thought to be your type? Or perhaps narrowed down the list of alternatives? I hope progress is being made. This page contains diagrams which depict how each of the 16 types use the four mental attributes or mental functions. 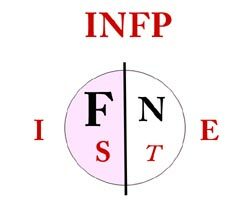 In each Personality Type typically 2 attributes are introverted and 2 are extraverted. Within each domain, one of these tends to be more influential or more developed. The size of the letters indicate their order of importance. The small letter in italics indicates the attribute most likely to be hidden to self or below conscious awareness. So if you still have more than one candidate for your “best fit” personality type, inspecting the patterns of the alternatives and judging which one seems to best illustrate your own may help. Best Books on Myers-Briggs & Personality. 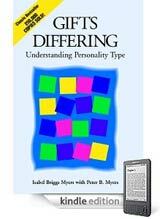 See our MBTI Personality Type Book Reviews. Of the Introductory texts reviewed, I’d most recommend the booklet by Nardi and Berens and the book by Otto Kroeger. If your exploration of personality type is in a spiritual context, look at the book by Hirsh and Kise. 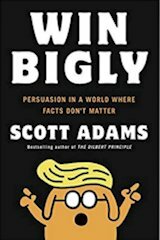 There are also digital Kindle versions of these books. More Articles on this Website. Consult our Index to Articles for Educators and Students for other articles of interest. An Excellent DVD on Personality Type. Your school, education director, or library may have a copy of Danielle Poirier’s DVD “The Magnificient 16.” It is an excellent multi-media production providing profiles of the 16 types and interviews of people representing each of the 16 types. Attend a Seminar or Workshop. Take a class or workshop whose purpose is to explore personality type and help you identify your own type as well as your strengths and opportunities for development. Keep on learning and exploring. ® MBTI, Myers-Briggs, Meyers Briggs, and Myers-Briggs Type Indicator are registered trademarks or trademarks of the Myers-Briggs Type Indicator Trust in the United States and other countries (aka meyer briggs or myers briggs or briggs myers).